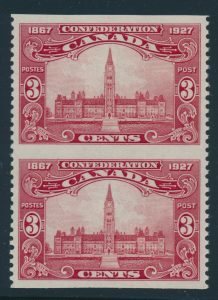 Lot 318 Canada #143c 1927 3c brown carmine Parliament Buildings Vertical Pair, Imperforate Horizontally, mint never hinged, extremely fine. 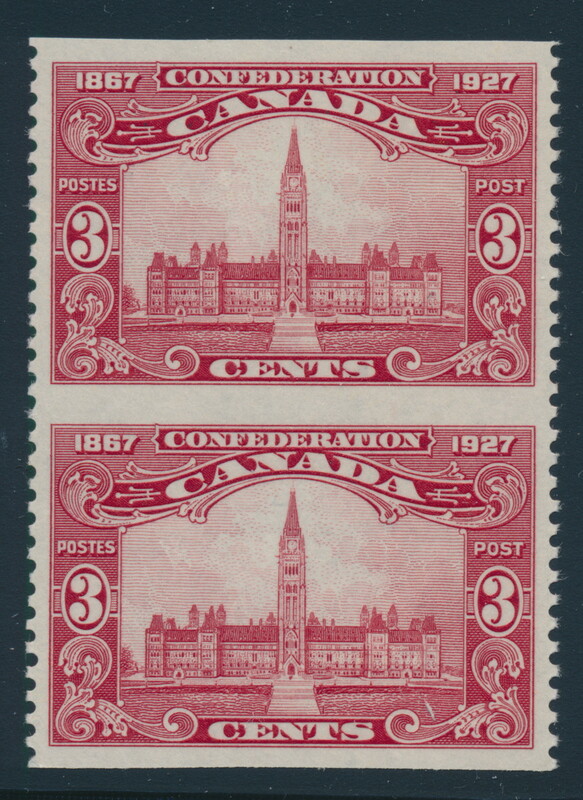 Unitrade $240, sold for C$200.00 plus 15% buyer’s premium. 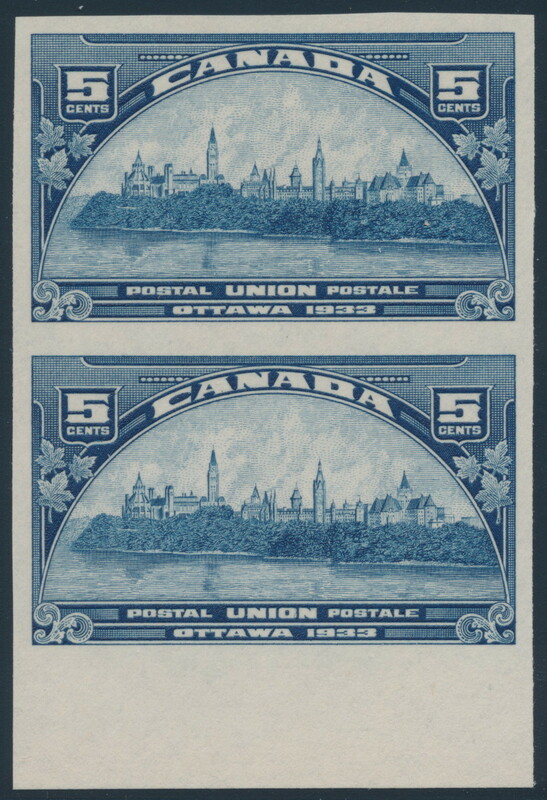 Lot 548 Canada #202a 1933 5c dark blue Parliament Buildings Imperforate, a mint never hinged vertical pair from bottom of sheet, with only 75 pairs issued, extremely fine. 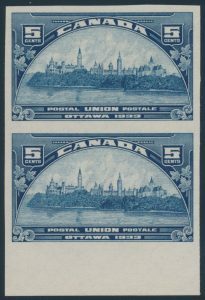 Unitrade CV$1,600, sold for C$900.00 plus 15% buyer’s premium.